On the go? In a rush? Looking for the cheapest fuel prices near you? We understand the importance in keeping things simple. That's why we have created Vroom Fuel Price Compare. 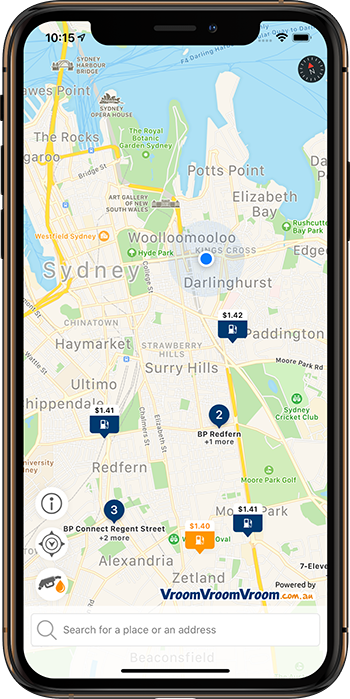 Instead of searching the internet and suburbs for the best fuel prices, simply hop onto the Vroom Fuel Price Compare App. If you live in Queensland, New South Wales or Western Australia, we are able to provide up-to-date fuel pricing using reliable government data. By doing this, we are able to show you the cheapest fuel prices in your area. View Petrol Stations and prices near you and easily find the cheapest option. Select your fuel type and see petrol stations and prices relevant to you. Get directions to your chosen petrol station. Search for petrol stations and prices in other locations. Use the Siri Shortcut to ask where the cheapest nearby fuel is. Stress less, save money and time with Vroom Fuel Watch. Download the Vroom Fuel Price Compare App for FREE. It is compatible with any Apple iOS 11.0 or later and Android 5.1.1 (Lollipop) and up.